Lagers in Lawrence will be co-hosted by the City of Lawrence and Indiana on Tap, an organization serving as a guide to Indiana breweries. Justin Knepp, founder of Indiana on Tap, said city officials approached him about creating some sort of festival. Collectively, they came up with a craft beer Oktoberfest to celebrate fall. Lagers in Lawrence will be the city’s first large-scale beer festival. A street in Civic Plaza will be blocked to traffic and lined with picnic tables. German-themed food trucks will be on-site, and a DJ will play polka music. The German American Klub will put on a German dance. German Alpine hats will be handed out to the first 200 guests. Activities will include a beer stein-holding contest. 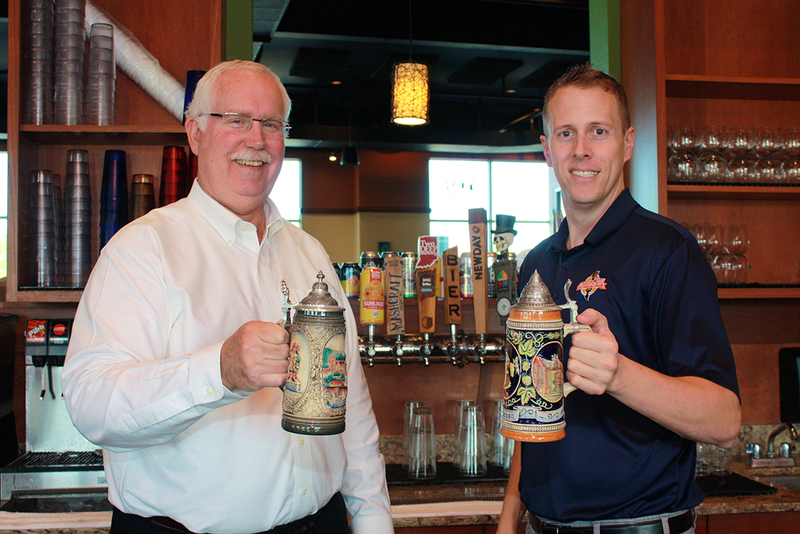 Contestants will hold a 33.8-ounce stein glass filled with beer, arm extented straight at shoulder height. Whoever holds the stein the longest wins. The winner will receive a stein trophy and a gift card. Mayor Steve Collier said he hopes the event will bring people into the city. Lagers in Lawrence is just one event featured in downtown Lawrence to kick off the fall season. The event is for ages 21 and older. Fifteen to 20 breweries will participate with more than 100 beers available for sample. Indiana on Tap founder Justin Knepp said the Lagers in Lawrence event will help highlight the charming downtown of the city, near historic Fort Benjamin Harrison. What: Lagers in Lawrence Oktoberfest. The event is for ages 21 and older. Fifteen to 20 breweries will participate with more than 100 beers available for sample. Cost: VIP tickets are $40 in advance and allow one-hour early entry. VIP tickets will be $50 at the door. General admission is $30 in advance or $40 at the door. Tasting cups will be provided, but attendees are encouraged to bring a beer stein.